The big update last November removed all of the PvP/MOBA style elements from the game and returned the title to its PvE killing orcs roots. For a time, the only two modes available to play were the classic Survival (build traps and fight off a fixed number of orcs) and Endless modes (go until the orcs beat you). There was still a roster of heroes with different stats and abilities from which you could choose and unlock using either in-game currency earned by playing, or the premium currency, but they no longer rotated out. Since that big shift, a PvP mode (Sabotage) has been added back into the game, as well as a new mode, Chaos Rifts, that provide seasoned players with a little extra challenge. As a platform for delivering more Orcs Must Die! content, it mostly works and is a pretty fun way to get some orc-killing action. 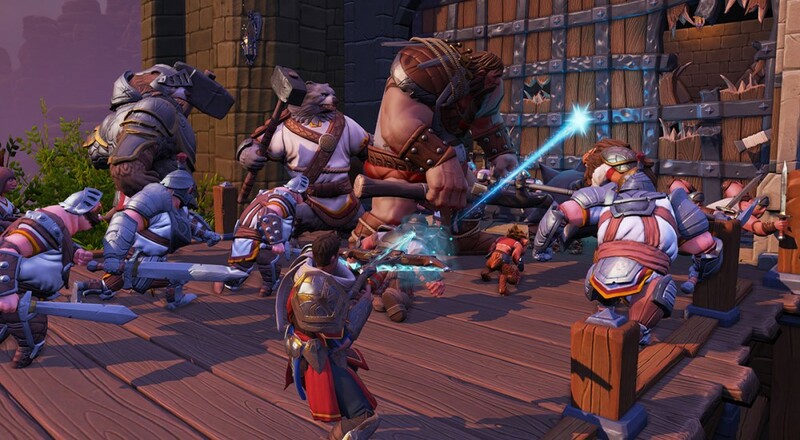 The PlayStation 4 version of Orcs Must Die! Unchained will be available on July 18, 2017. Similar to the PC version, it will be free-to-play with in-game purchases available, and it will support three player online co-op in the Survival, Endless, and Chaos Rift modes.